There’s a lot to be excited about when it comes to The Crew 2, the new ambitious open-world racer from Ubisoft that launches on June 29th, 2018. 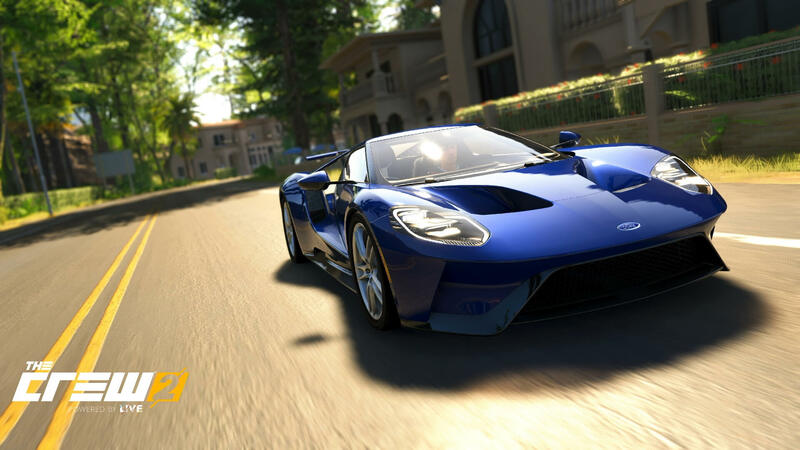 Whether it’s the incredibly vast map or the endless customization and motorsports options, the development team at Ivory Tower has been doing a lot of things right for its latest racing game. One of those comes in the form of creation tools. Think Photo Mode. Think Video Editor. Think Vehicle Liveries. These features in The Crew 2 open a lot of untapped potential and make Ubisoft’s latest open-world racing game a love letter to content creators. I had the opportunity to go hands-on with the creator tools present in The Crew 2 at an exclusive event hosted at Mercedes-Benz World in Surrey, UK, and I left feeling impressed. As someone who enjoys capturing photos in a racing game, the features present had me feeling immensely awestruck. To put it quite bluntly, The Crew 2 has one of the best Photo Mode experiences I’ve ever used. It’s really something special. But it doesn’t stop there – this also applies to video, as our resident video expert Tom Matthews was also in attendance with me, and I could tell by him how excited he was by the creator tools found in The Crew 2 and the potential opportunities they could enable for his content in the future. 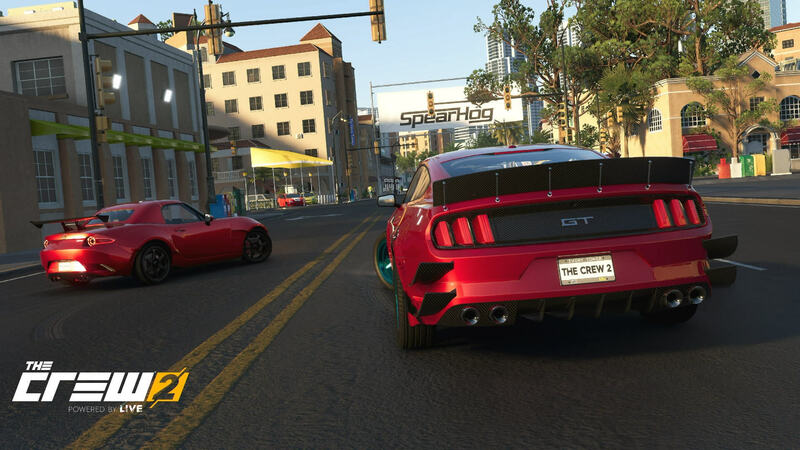 If you’re a fan of The Crew, then you’ll likely remember that Ivory Tower introduced similar creator tools into the game via a free content update in early 2016. However, these are expanded upon and vastly improved in The Crew 2. It’s almost like the first game acted as a test environment for these new features to see how the community would respond to them before greatly expanding their potential in its sequel. The Crew 2 has the necessary tools to enable you to make the content you want – be it photos, videos or liveries – and bring them to life. Experiencing the diverse landscapes of The Crew 2 is one thing, but capturing it is another. As I mentioned already, Photo Mode is one of those features I adore in any racing game, and The Crew 2 has one of the best in the business. 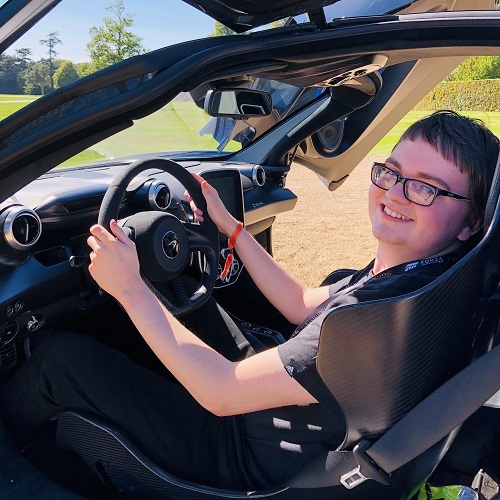 You can take some staggeringly-beautiful photographs in this game, and many of these have been included in this article that I captured during my hands-on play session at Mercedes-Benz World. We were playing the game in 4K resolution on Microsoft’s Xbox One X console, and The Crew 2 looked stunning on it. Pure visual eye-candy, to say the least. Photo Mode doesn’t just allow the beauty of The Crew 2 to shine, it enables you to take captures of your newly-customized race car, insane dirt bike or vicious monster truck to the next level and have them look as professional as you desire. It also works with planes and boats too – there’s literally no limitations when it comes to this. You can change the time-of-day and weather scenarios in your photo and see it update in real-time, add-in neat effects and filters, and modify the overall aperture, motion blur and focus settings with adjustable sliders. You can even customize the watermark or remove it entirely if you prefer, disable pedestrians or animals, and increase or remove the amount of damage and mud on your vehicle. Other toggles include the ability to hide traffic, adjust headlights, and show/hide the driver – as well as other players in your session. There’s also customizable frames, as well as the usual features that allow you to intensify the colours, adjust the exposure, style, noise, and vignette of the image, and more. As you can see, it feels like the options are endless. Oh, and if you’ve ever had issues with people stealing your photos without credit before, then The Crew 2 can even add your Gamertag as a watermark to prevent that from happening. Some of these Photo Mode features were in The Crew already, but it’s worth regurgitating them for those who might have missed out on it, especially since many of these features don’t even exist in the Photo Modes offered in other racing games. 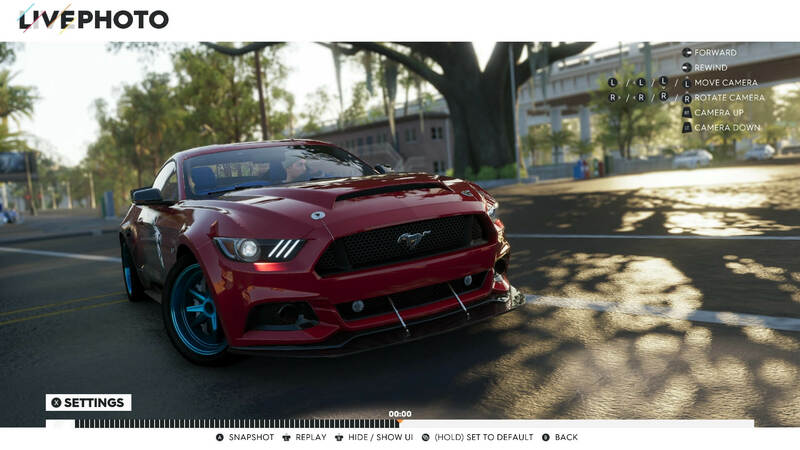 Captured photos from The Crew 2 – especially those in 4K from the Xbox One X, PS4 Pro and PC versions of the game will look crisp, clear and highly-detailed. The resulting photo albums are sure to be fantastic. Content creators can also capture and share their favourite moments by editing cinematic-style films with custom camera angles. This is something I’m personally excited to see the result of once the game launches in June. Think of it as the Rockstar Editor from Grand Theft Auto V, but for The Crew 2. One of the unique aspects of the game’s video editor is that it’s always recording gameplay in the background, which means you don’t need to manually hit record. It also means that an epic, one-of-a-kind moment can be later revisited and saved. The Crew 2 will always be recording the last 10 minutes of gameplay, and at any stage when free-roaming – whether it’s in single-player or in online co-op with your friends, you can pause and look at your video timeline. Photographers can also take advantage of this too, by simply rewinding the recorded footage and snapping the image they desire. It also means you don’t need to pause the game at the perfect moment to capture your shot as you can simply go back to it later. 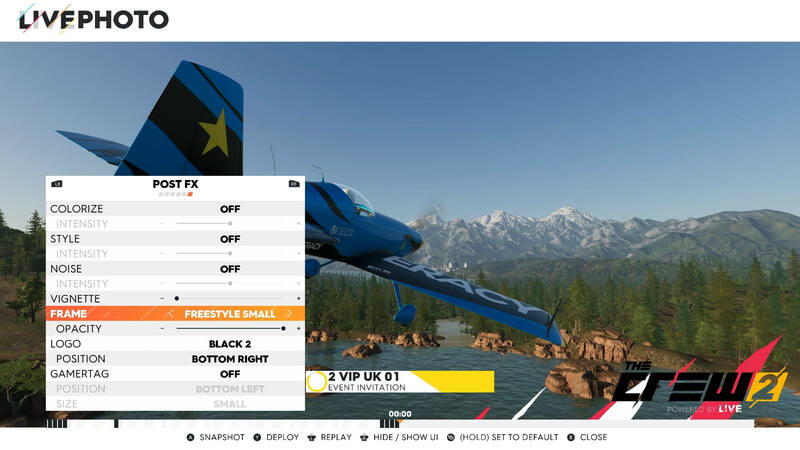 The ‘Live Replay’ functionality in The Crew 2, as it’s officially called, comes with an impressive range of editing options so you can capture and share your favourite moments and highlights from the game – or even go a step further and make full cinematic films. This is a popular feature in Grand Theft Auto V, and it’s no secret that Ubisoft and Ivory Tower probably looked at the implementation from Rockstar Games for inspiration. It’s paid off, that’s for sure. When editing a clip, there’s a variety of preset camera angles to choose from – as well as a more advanced free-cam option to get the perfect angle. More impressively, you can even change the time of day and weather settings within the video editor to make each clip look its best – just like in Photo Mode. This means you don’t need to wait until sunrise before recording a video with your friends. A sudden downpour of rain in the middle of shooting a video won’t matter either as you can simply choose the weather conditions to match the style of your video. It’s wonderful and I can’t wait to see the results of it once the community get their hands on it. The Crew allowed you to personalize your vehicles with pre-set livery designs created by the team at Ivory Tower. There was a variety of different themes, including race designs, animals, country flags, flames, nature, and so on. These could be purchased and applied to your vehicle, and they’re even available to use in The Crew 2. I quite like these designs as they’re simple and unique, but effective. When I had hands-on with the game last month, I applied a black roaring lion to my 2015 Ford Mustang GT Fastback. However, if I wanted to go a step further and bring my car truly to life with my own personalised touch, then that’s where the Sticker Editor comes into play. 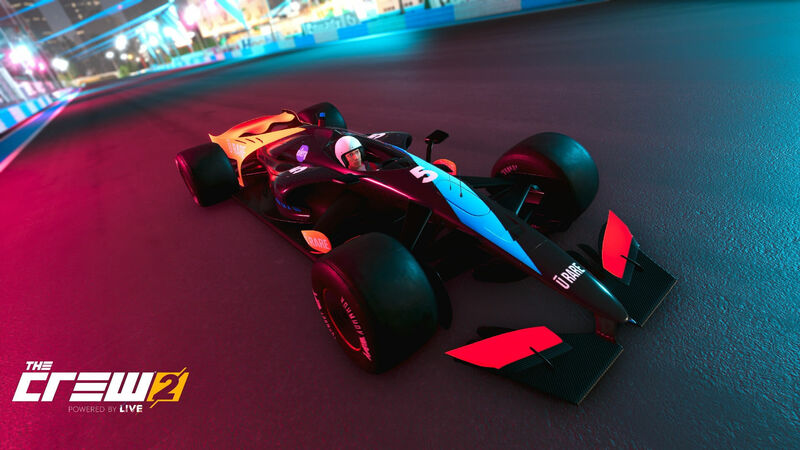 Like the Livery and Wrap Editors in Forza and Need for Speed, respectively, the Sticker Editor allows you to create and apply decals to your vehicle to bring it to life. There’s a selection of different logos, letters, numbers, fonts, shapes and stripes to choose from – and these can be combined to make the vehicle design you desire. The Sticker Editor gives creators full control over their designs, allowing them to edit, manipulate and customize their stickers, decals and liveries across five different areas of the vehicle – the left, right, front, back, and top sides. It allows a maximum total of 1,000 layers on each area, giving painters plenty of freedom when it comes to creating their designs. The colour, skew, and transparency of each decal can be modified to your desires, with useful coordinates and zooming functions allowing you to position your decals exactly where you want them. 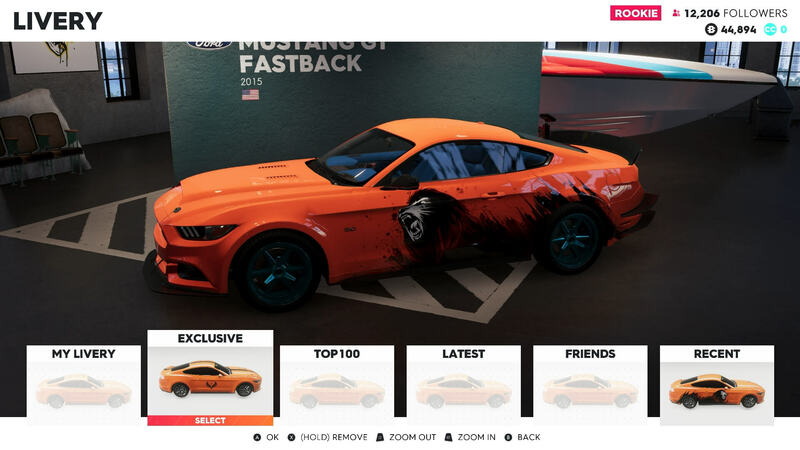 Forza fans often use the Vinyl Editor to create their own custom logos and effects to apply to a variety of different vehicles, and this feature also makes its way over to The Crew 2 in the form of a ‘2D Mode.’ Here, decals can be layered upon each other to create your own custom stickers. These stickers can then be moved around the livery editor freely for precise placement onto your vehicle. Once you’ve finalized your design, it can be saved and shared online for the entire community to find, download and apply to their own vehicle. The Sticker Editor in The Crew 2 will highlight various liveries, including those made by your friends and others trending in the community, as well as the newest liveries shared by painters. The icing on the cake when it comes to creating designs in The Crew 2? 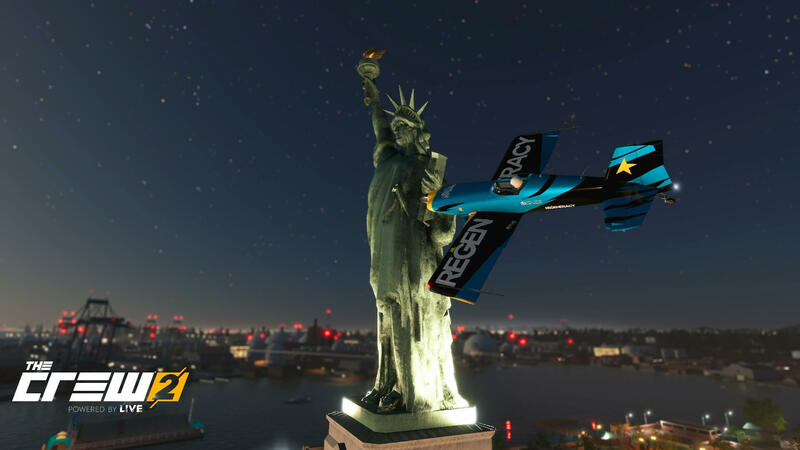 Not only can these be made for all the cars featured in the game – akin to most racing games out there, but they can also be made for the entire roster of planes and boats featured in The Crew 2 as well. 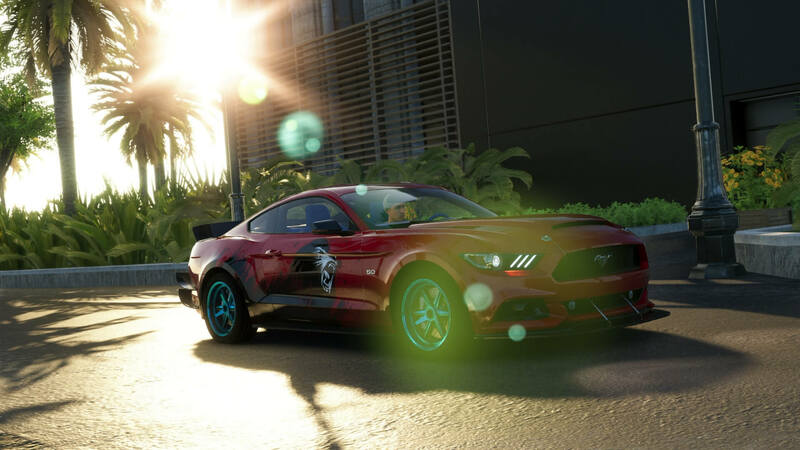 Regardless of which vehicles you enjoy the most in The Crew 2, you can create your own custom designs for them – or add a pre-set sticker made by the team at Ivory Tower or download a livery created by the community. How you personalize your vehicles in The Crew 2 is up to you, and as we discussed in our hands-on preview with the game, you can also customize your vehicles with unique body-kit options and performance upgrades that ensure you remain ahead of everyone else in the playing field. They can also be tuned to match your style and handling needs. The Crew 2 hasn’t only put driving, exploration and customization in the forefront, it has also added creators to that mix. Whether you enjoy taking photos of the different cars, boats and planes in the game, capturing videos of you and your friends road-tripping across the United States to share on YouTube, or even designing personalized liveries for your favourite vehicles to share with the entire community – the teams at Ubisoft and Ivory Tower have managed to create a series of tools and features that can be used by content creators of all types. It’s a real milestone feat to say the least. With the ability to rewind the game in real-time to capture an incredible moment, align the perfect shot, or edit a clip to fit your style and preference, there’s a lot of potential in the creative side of The Crew 2. Be it photos, videos or even liveries, it’s clear that Ivory Tower wants The Crew 2 to be as interactive and community-driven as possible. This is also shown by the in-game ‘Live’ events, which allow you to set leaderboard records on a variety of trials and stunts whilst challenging your friends and the wider community to beat them. Overall, there’s a lot of potential in The Crew 2’s creator tools, and we’ll be seeing them in full swing with the upcoming Closed Beta later this week on Thursday, May 31st and of course, the launch of the full game on June 29th, 2018. 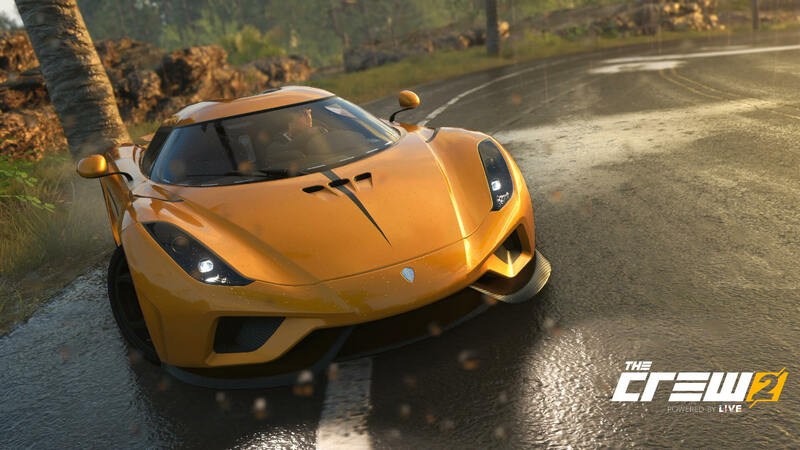 Ubisoft’s open-world racing game has the vehicles, map, and features to be a huge success. Now it all needs is the perfect execution and that community engagement from both fans and content creators alike to make it a real triumph – one that will always feel fresh, engaging and alive where there’s always something new for players to discover.